Welcome to another behind the scenes look at the making of NICE! One of the first things you notice upon reading NICE is the constant charismatic presence of a ’69 Pontiac GTO. Kevin is proud of his classic car, even when the hitman complains about it being a two-door, and burns rubber for the sheer style of it whenever he can. 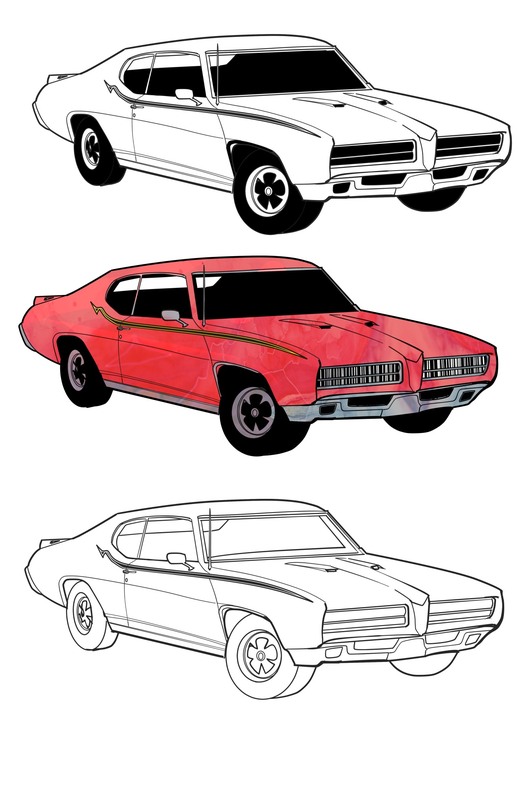 It became clear to our creative team that Kevin’s GTO would have to be a character in itself, complete with concept art and the proper personality. Interior artist Marc Rene (and the rest of us at AGP, for that matter) are big fans of the CW’s SUPERNATURAL, and the Chevy Impala from that show immediately came to mind. For the design, Rene went straight to photographs of the classic brand. 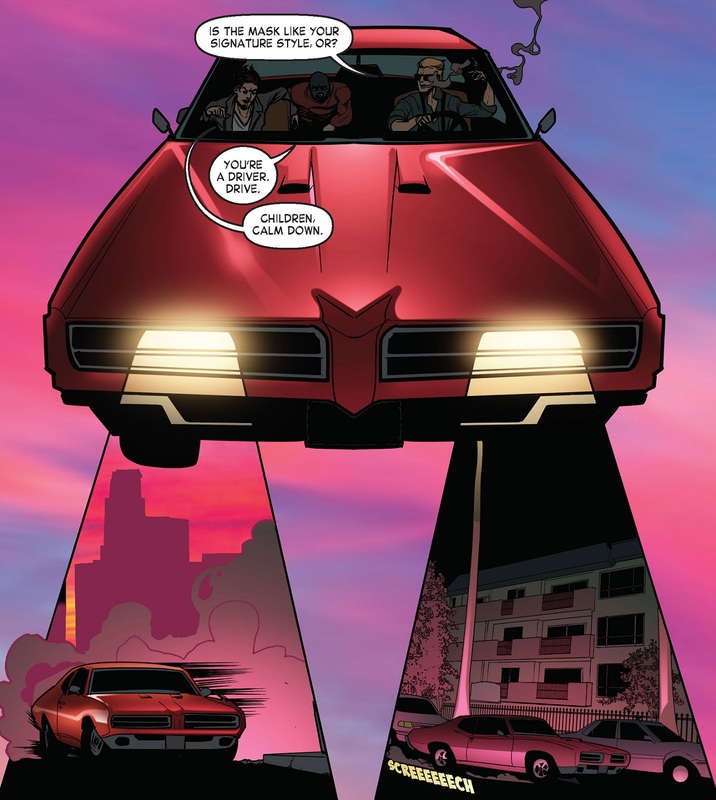 Features specific to the model are important in the interior art, such as the flip-up hidden headlights, which combine to create this unique page layout. 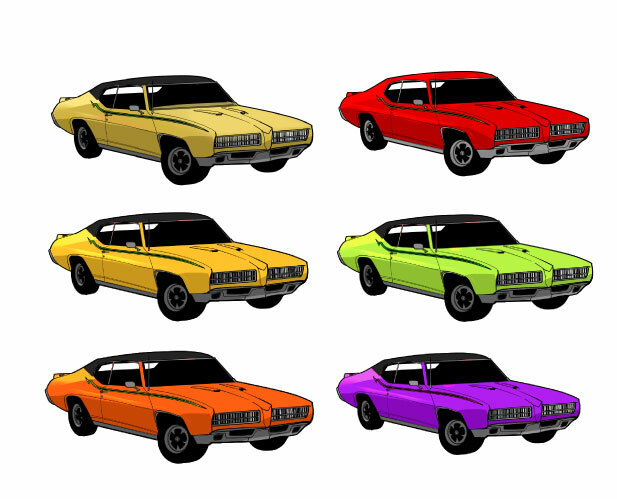 And although the GTO ended up as a bold red, it went through several color variations to get there! We’ll be sharing new “behind the scenes” content on a regular basis, so stay tuned and sign up for AGP updates!